1. Fold construction paper accordion style into eight strips. 2. 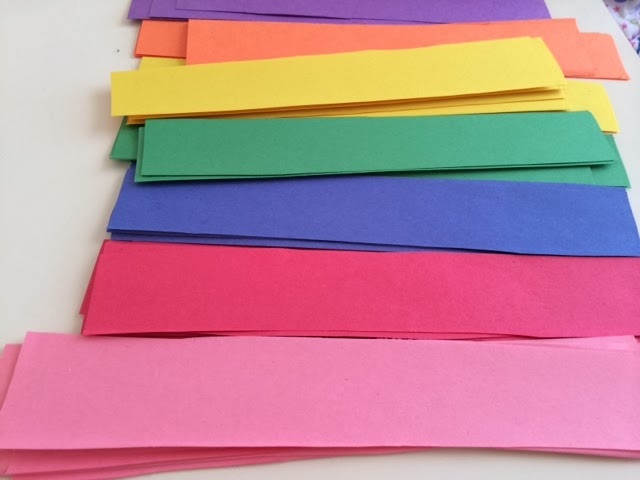 Cut the construction paper along the folded lines into strips. 3. 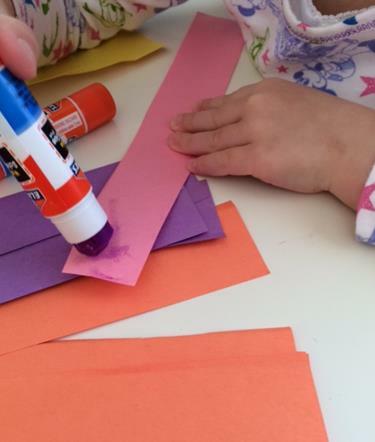 Have the kids use a glue stick to put paste to one side of a strip of paper. 4. 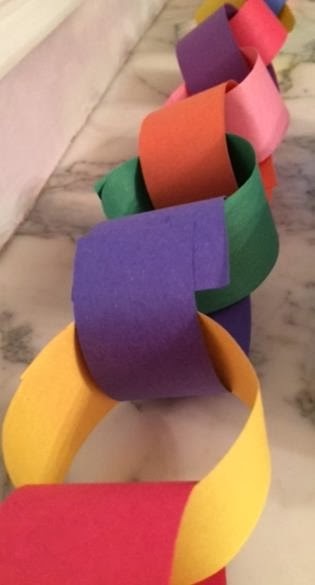 Roll a paper strip and hold it together to form a loop. 5. Repeat the steps above linking each new loop through the last ring made. 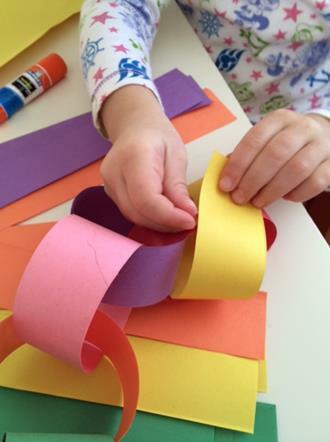 Attach the rest of the paper strips in the same way, one through the next, to form a garland chain.